It’s the beginning of a new year and I asked myself this question last night. 2017 was full of new things for me, especially as Jiggsy really got going. I took myself out of my comfort zone on many occasions, despite feeling full of self-doubt. My core self has always loved trying new things...I’ve happily sky-dived, bungy-jumped and dived in the South Pacific Ocean, without giving any of them a second thought. 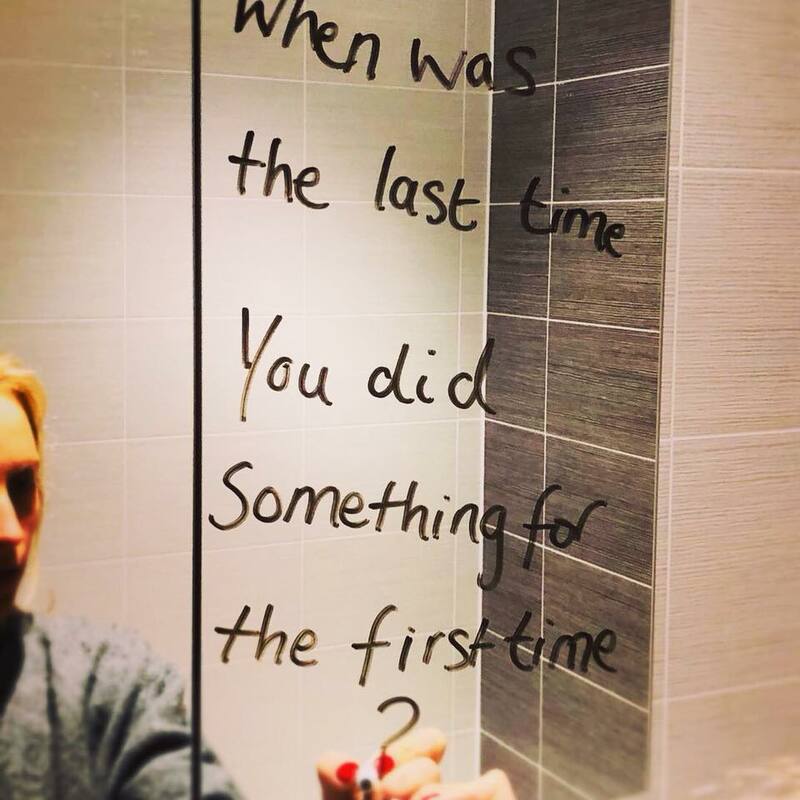 I actually like feeling a bit scared and achieving something, but I noticed that when it comes to taking about myself or my experience with an eating disorder, I can become really scared. Doesn’t make much sense, but I guess it’s because I’m too concerned with what others think of me, whether they will judge me or find any value in what I have to say. This year I hope I will continue to explore the unknown. The unknown excites me, which is a huge movement in my mindset. When I was in my eating disorder I lived by routine and rules. I hated the unknown…I needed to be in control, and when I wasn’t my eating disorder helped me to feel OK.
It’s been several years now, since I’ve relied up my ED to comfort me, instead I’m able to comfort myself and take myself out of my safe zone, even when it’s the last thing I want to do. My reflection is a reminder to try something new. Maybe it’s a new sport, a fear food, learning a language, or just reaching out to someone else. No matter how scary it may seem, the end result is always worth it. Every time you take a step out into the unfamiliar, you are building an inner confidence and resilience for your future.